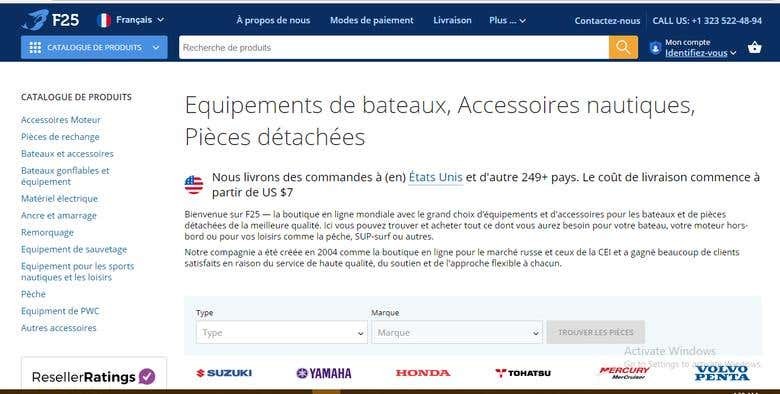 F25.com is a web-store. 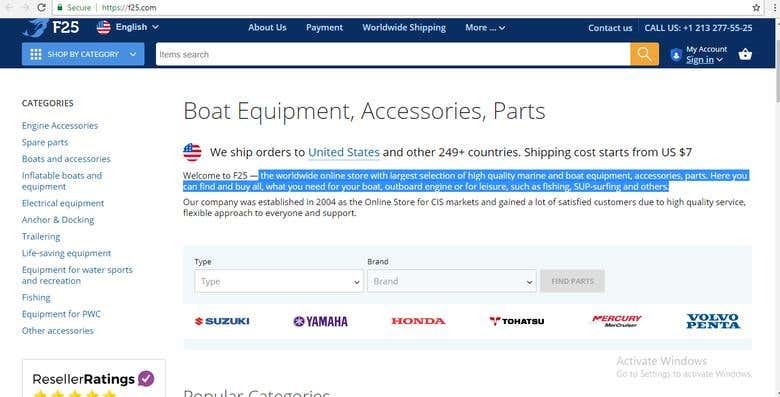 Boat Equipment, Accessories, Parts seller. The worldwide online store with largest selection of high quality marine and boat equipment, accessories, parts. Here you can find and buy all, what you need for boat, outboard engine or for leisure, such as fishing, SUP-surfing and others. Provided our translation services in 2 languages: French and Spanish. Please visit the website www.F25.com for more details about this portfolio.